Since its debut, Bauer's Nexus N7000 GripTac composite stick has long been focused on simplicity and optimizing the natural mid swing shooting motion many players utilize. The inception of Bauer's Sweet Spot Technology in this 3rd generation of sticks further's their dedication to providing consumers with a NHL inspired mid-flex stick, that loads quickly, and efficiently. This year, it's further complemented by the Pure Shot Blade Profile. With a reinforced hosel, the stick is more durable and able to withstand higher forces of rotational torque, this allows it to hold true through your entire follow through resulting in a much more accurate shot. Also returning are classic Bauer technologies such as their TeXtreme build which is 20% lighter and stronger than the competition, and their eLASTech resin system which has tested to be over 50% stronger than the resin system in past models. Finally, a dual density blade core with a 3k carbon weave wrap provides the a great combination of feel, pop, and durability on a budget. Bauer nexus n7000 stick asks about a patern ? Was wondering if there was a picture of the different patterns that I could look at ? 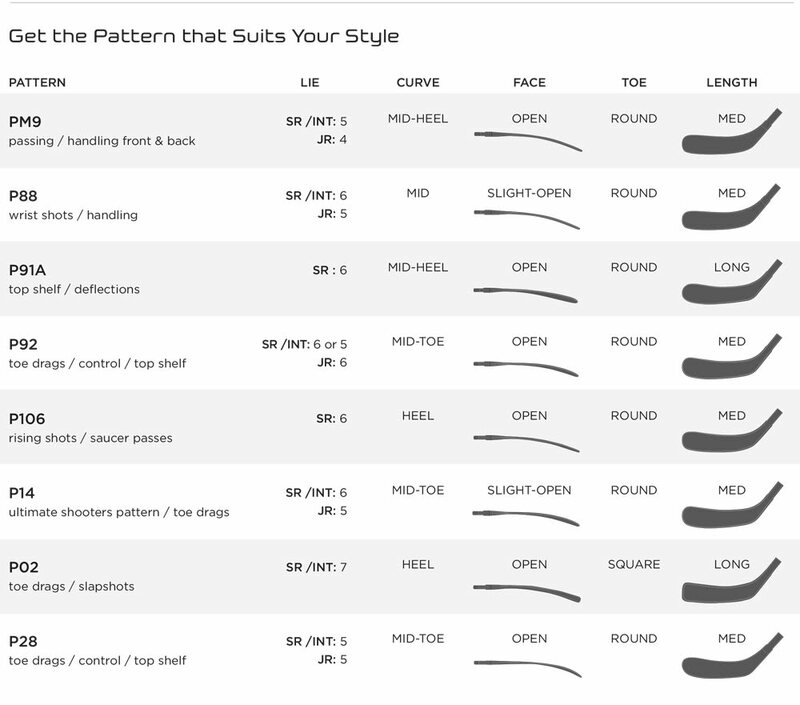 Yes, there is a blade chart on the last picture on the website. how much does this stick weigh? The Nexus N7000 jr stick weighs roughly 400 grams.